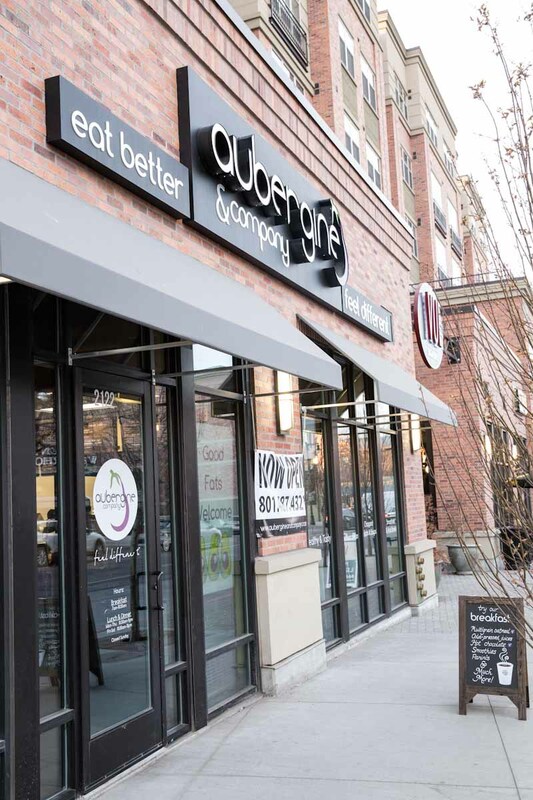 Months ago, while walking through Sugarhouse, we spotted a sign on the door for a new location of Aubergine and Company. 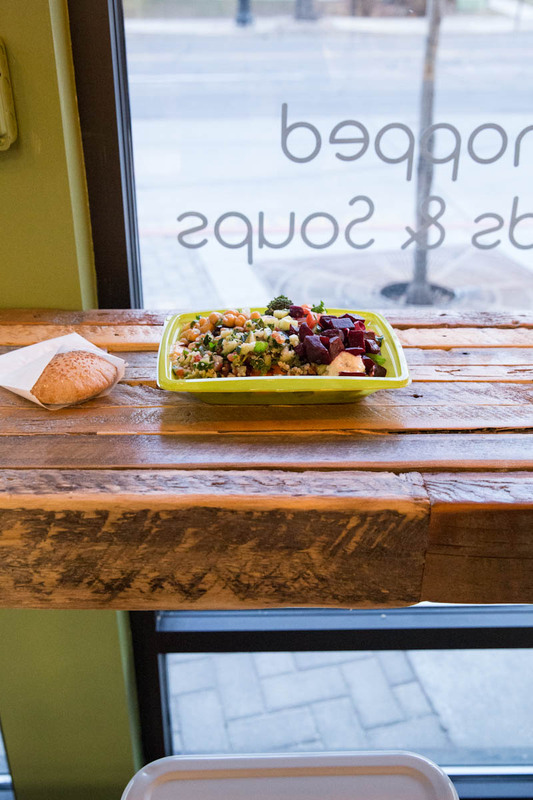 Since then we could hardly wait for this healthy Mediterranean Food spot to open its doors. Last weekend we dined here for the first time and though I have much to say about the place I will start with one single highlight… falafel! I’m becoming increasingly conscience about the falafel I like to eat so much of. First of all it absolutely needs to have good flavor but secondly, I especially like it when a restaurant can accomplish a great falafel without frying it. Aubergine and Co. does both, magically well! For our meal, we both had Mediterranean Salads, piled high with all of the toppings of our choosing. 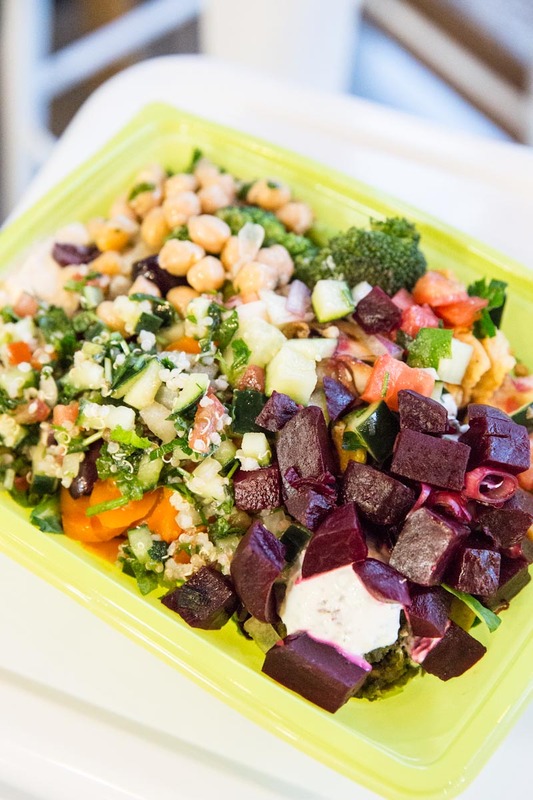 On their Mediterranean Salad you choose a protein (chicken, salmon or falafel) and the sauces, like hummus, baba ghanoush, and tzatziki then you can also select an assortment of toppings like taboleh, chickpeas, cucumber salad, beets, olives, feta cheese, and so much more. This is just one of the great items Aubergine and Co specializes in. 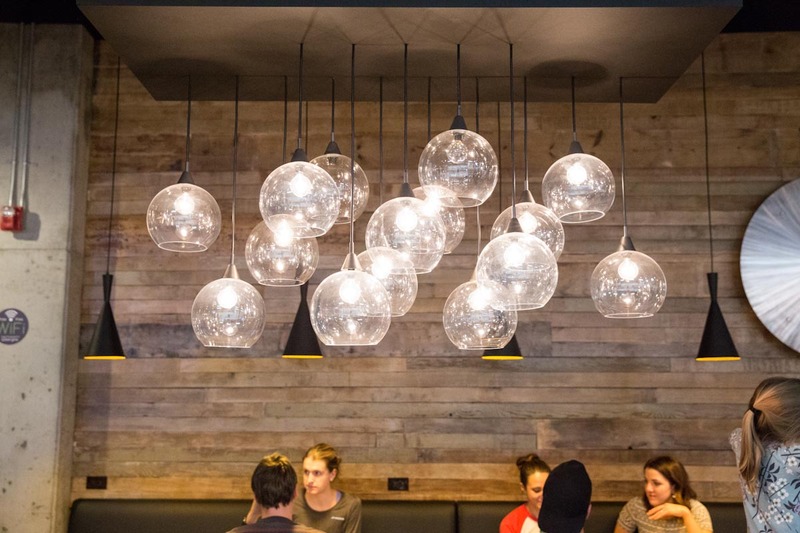 They also serve chopped salads, pita sandwiches, smoothies, as well as a full breakfast menu. I’m always looking for more places where my family can eat out casually and healthfully and Aubergine and Company is now at the top of our list! The food and service are fantastic. I hope they introduce in-store recycling bins for all the plastic cups and containers.